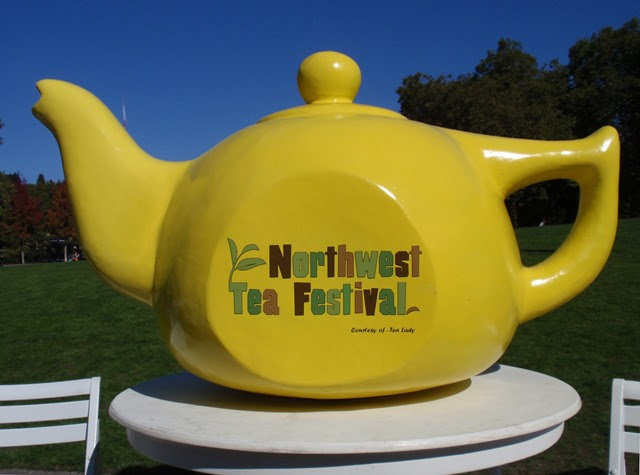 The 8th Annual Northwest Tea Festival took place over the first weekend of October. 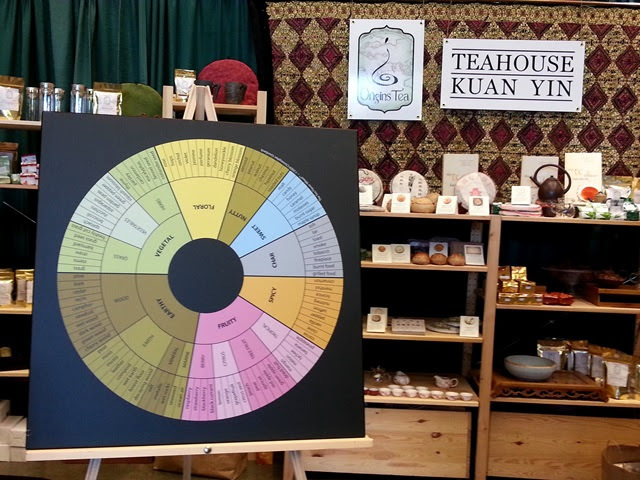 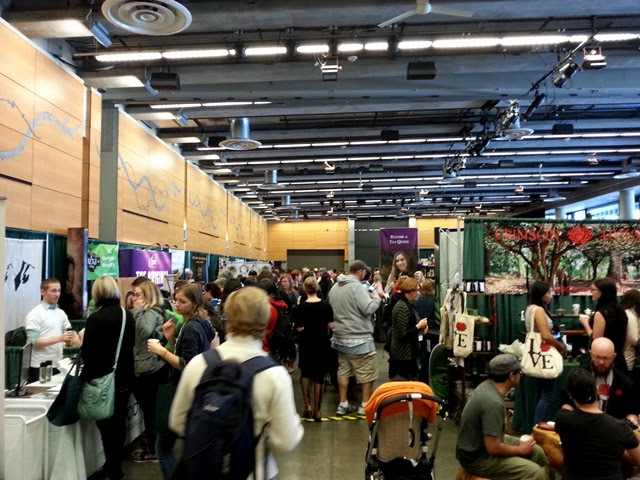 The festival offers two full days of tea tastings, workshops, lectures, demonstrations, and tea vendors. There is nothing quite like spending a day (or two in this case) surrounded by tea lovers, beautiful displays, and the aroma of freshly brewed tea. With the tasting cup that comes with admission in hand, I made an indirect (tea samples required my attention along the way) beeline to my first workshop. 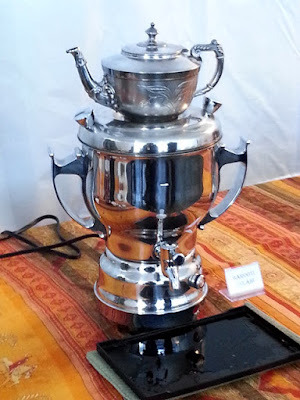 The Russian samovar consists of a teapot (chainik) containing concentrated tea (zavarka) which rests upon the main container filled with boiling hot water. 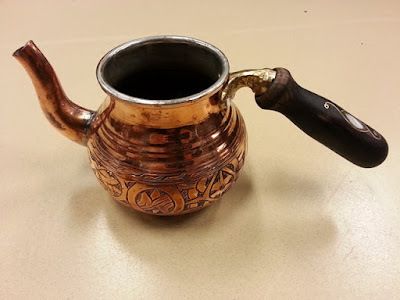 The heat from the main container keeps the zavarka warm throughout the day. 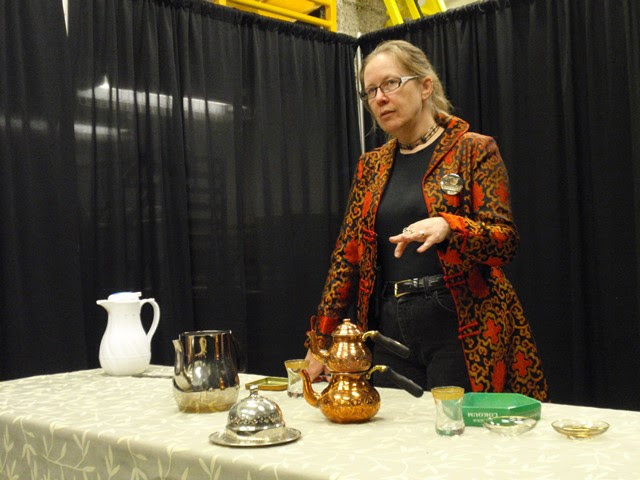 To prepare tea using a samovar, first pour a small portion of tea concentrate into the tea cup. Then fill the cup with hot water from the main container. The concentrate can be made from steeping a large quantity of tea leaves for approximately five minutes. 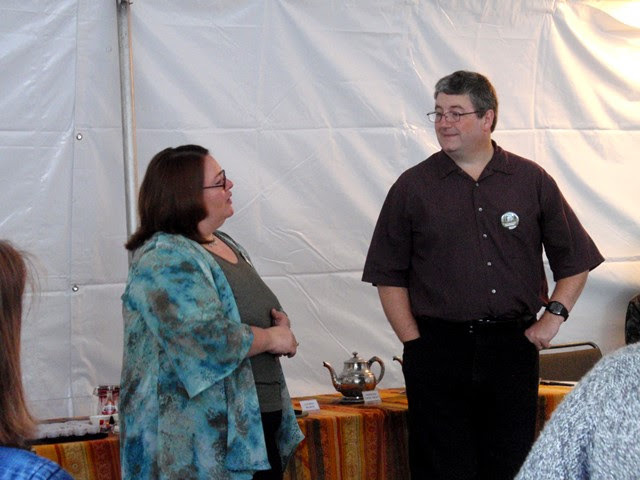 While the teas we enjoyed were of good quality, Charles and Laurie have found that low quality teas can also be improved significantly by simmering for hours in the chainik. The bitter, unpleasant elements seem to break down over long exposure to heat. 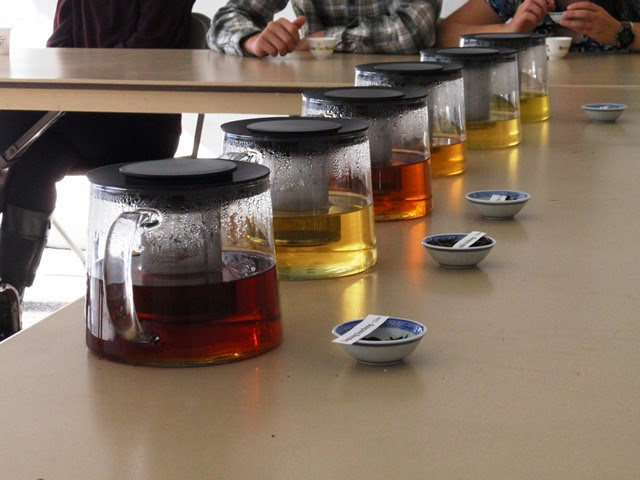 We were provided with a generous selection of sweets to taste the following teas. 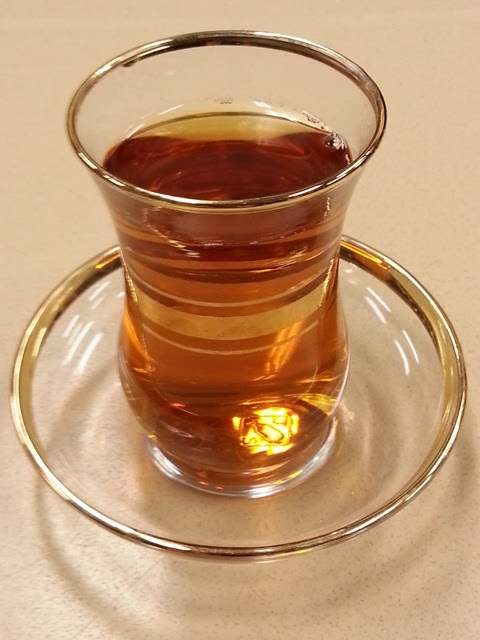 Persian Earl Grey with rock sugar. 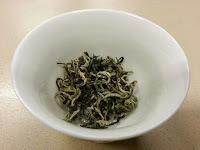 Hu Hong (Hunan Black) with a petit candy held in the teeth. 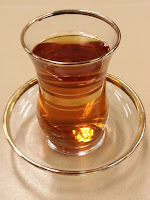 Barooti Gulabi blended with Lapsang Souchong with currant jam (my favorite). While samovar are ubiquitous throughout Eastern Europe, it was a rare treat to see one in action in the West. 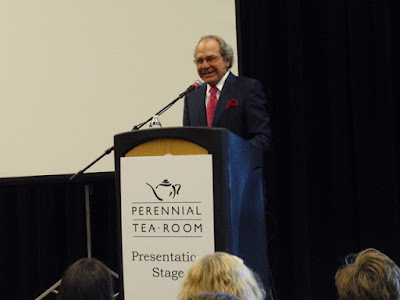 James Norwood Pratt always has a wealth of tea experience to share and I wouldn't willingly miss one of his lectures. 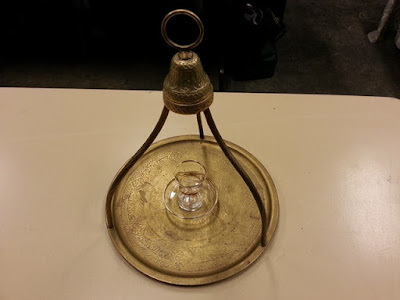 This year, I was left with two important tasks. 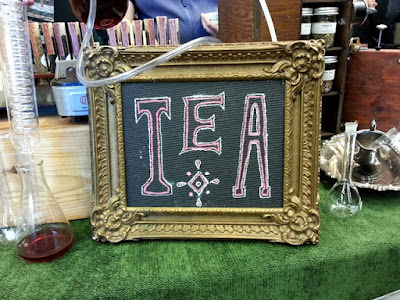 1) Teach someone else about tea so they can, in turn, teach someone else. 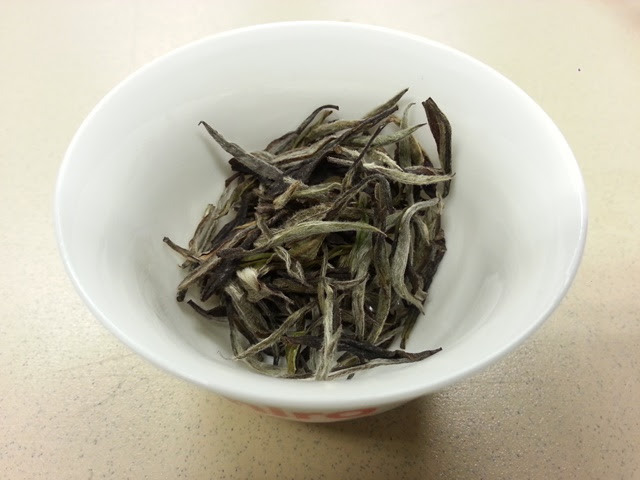 2) Get my hands on some Darjeeling Wonder Tea, grown at 7,000'. Qiao, a puerh tea specialist, prepared multiple steepings of shou (cooked) and sheng (raw) puerh for us while sharing its history, production, varieties, and preparation tips. 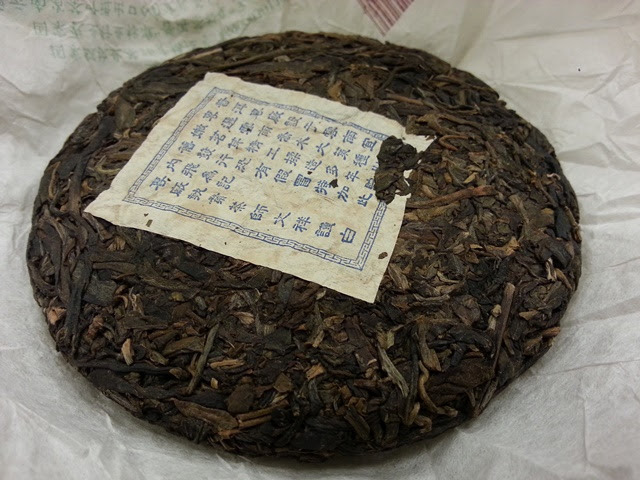 Puerh tea is produced from large leaves plucked individually from ancient tea trees. It is said to be "antique with life" as it gains more life with age. 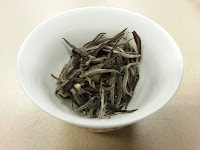 It takes three to five years before uncooked shou puerh is drinkable and one to two years for cooked sheng puerh to be drinkable. 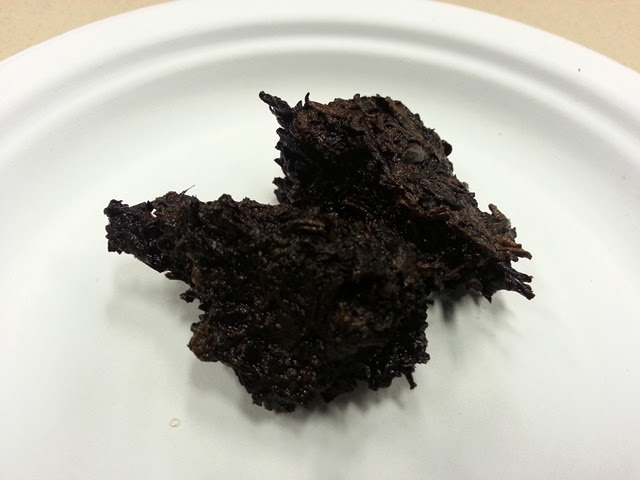 Cooked puerh is 100% fermented with a mellow character that is ideal for people with digestive issues. Infused puerh leaves should appear shiny. 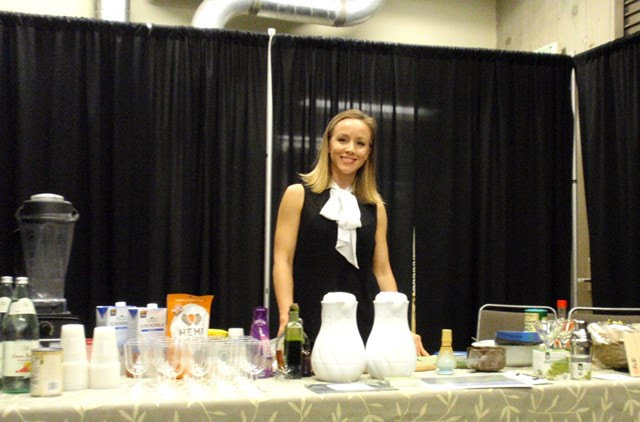 If there is no shine, there is no life (microorganisms). 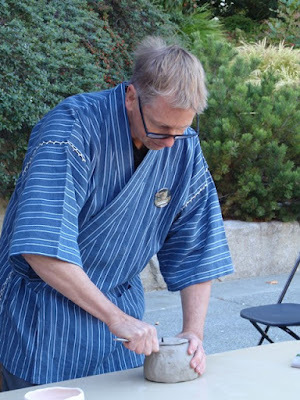 Richard Brandt is a master ceramist who has studied Chado (tea ceremony) for over a decade. 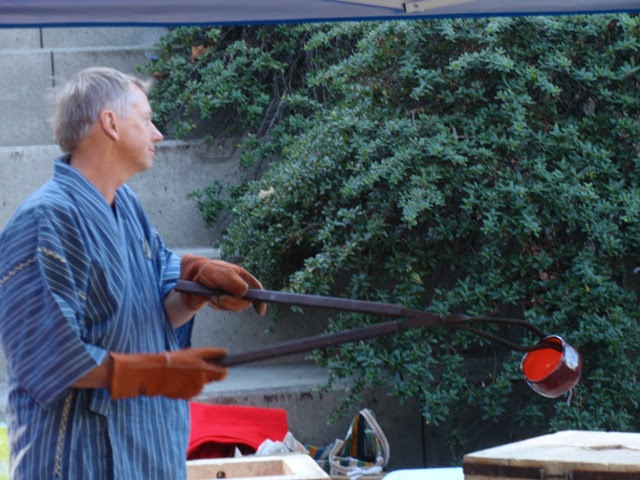 We watched as Richard created new tea bowls, demonstrating the process from start to finish as he described the materials he uses, and how Raku is integrated in tea ceremony. 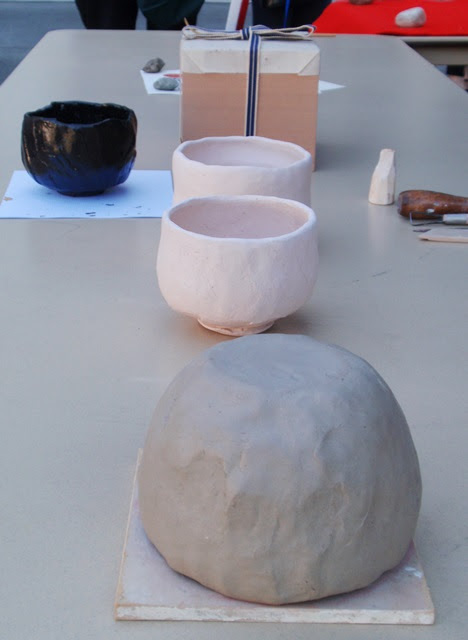 This process involves forming the bowl from clay, drying to white bisque, glazing, then firing. 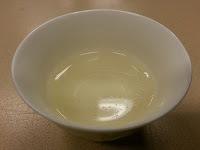 The black color is achieved by removing the bowl from the fire while it is still very hot and waiting until it has cooled slightly before dipping it in water. 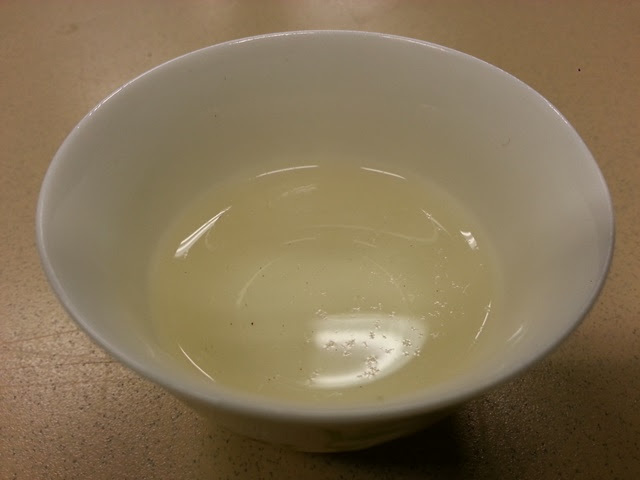 Otherwise, the glaze would turn brown. The bowls are quite porous after firing and have an almost wet feel, even when completely dry. 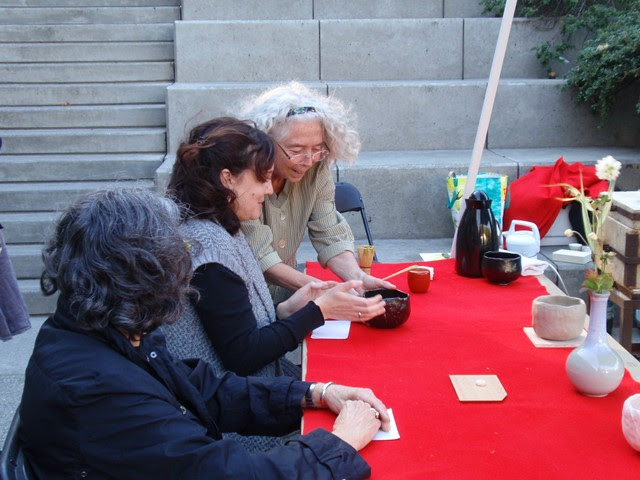 During tea ceremony, the first bowl of tea will traditionally be koicha (thick matcha) served in Raku. 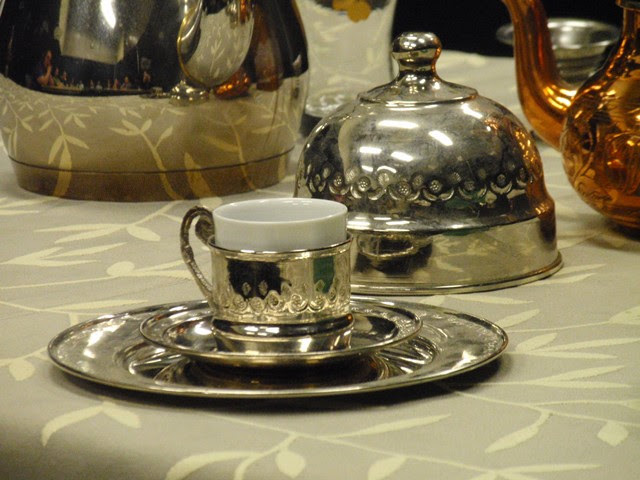 In the coldest month of February, the first tea would be served in tsutsu chawan (crane's neck), a taller bowl which retains heat well. As he worked, Richard shared the history of Raku, which is a family name and not a technique. Sen no Rikyu enlisted the help of Chojiro, a Korean tile maker, to create a tea bowl using local materials that would better suit the wabi simplicity of his tea ceremony. 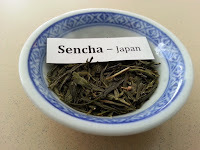 After Sen no Rikyu's death, the family received the name Raku in recognition for their important contribution and the family remains closely tied to modern tea ceremony with the current descendant, Kichizaemon XV. 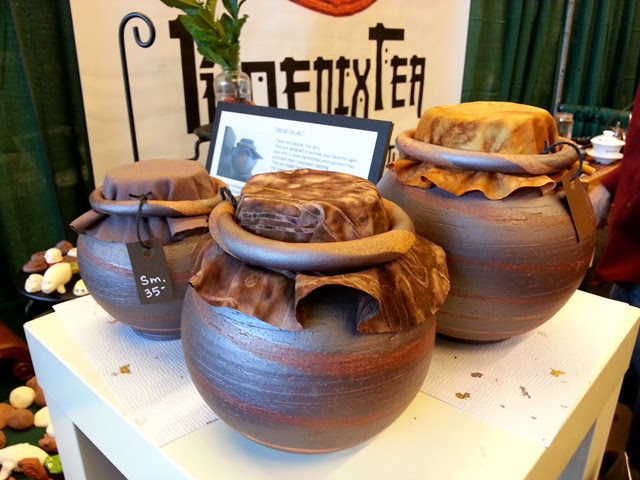 Once the new Raku-style tea bowls had cooled, Jan Waldmann, a certified tea instructor in the Urasenke School, prepared matcha in them for their lucky new owners. An interesting note on wooden boxes that come with chawan: These boxes usually have the maker's name as well as the date and event where it was given away. The recipient might then put this box in another box which may then be marked and given away at another event. 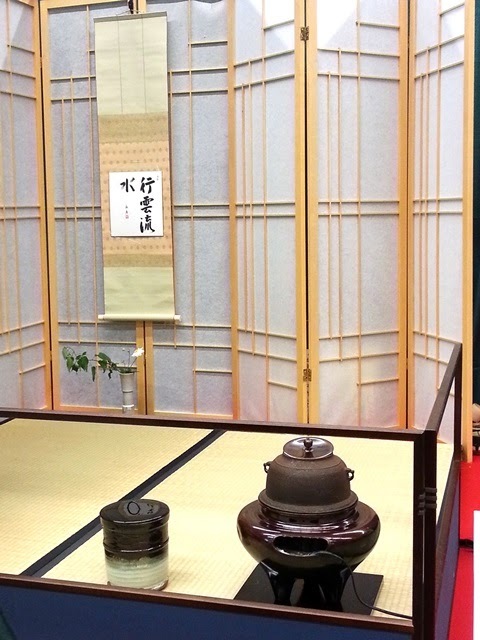 The boxes represent the history of the chawan. 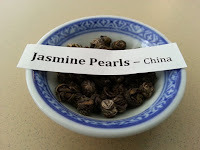 In modern times the significance has been forgotten and the boxes are often thrown out, along with this valuable information. 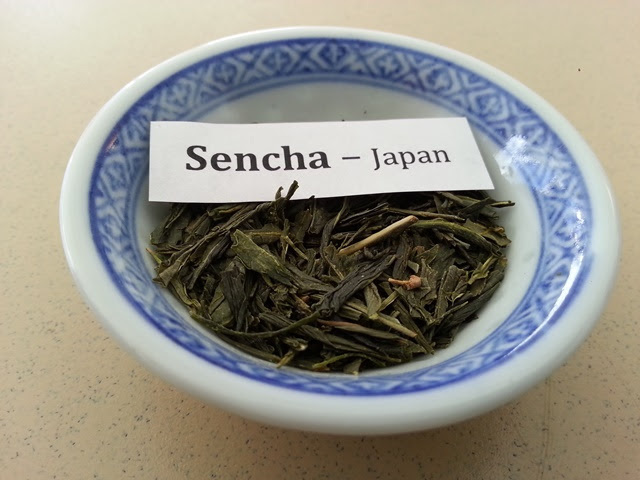 If you receive or purchase a chawan that comes with a box, be sure to keep it or, at the very least, document its markings. 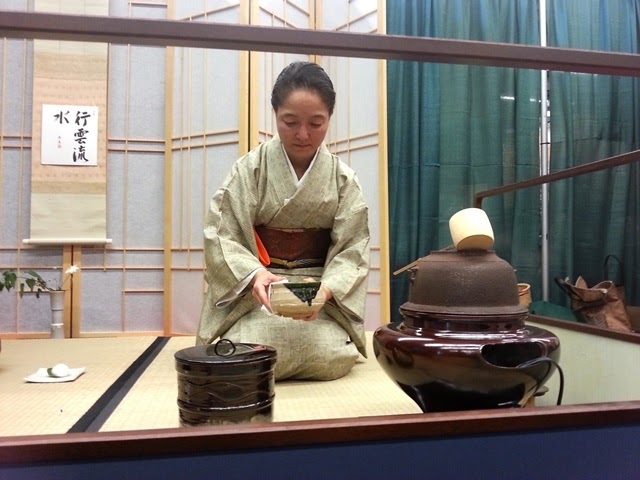 Last year, Sugimoto America hosted a tea ceremony demonstration at their booth for the first time at the Northwest Tea Festival. 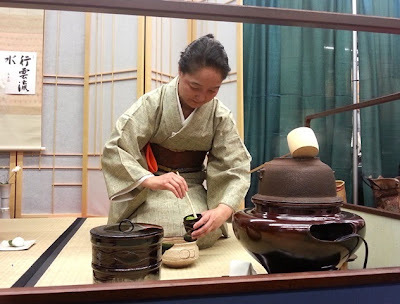 I was very happy to learn they were offering it again this year and have made improvements upon the chashitsu (tea room), including a tokonoma with scroll and floral arrangement, and kekkai (short divider marking the tea room boundary). 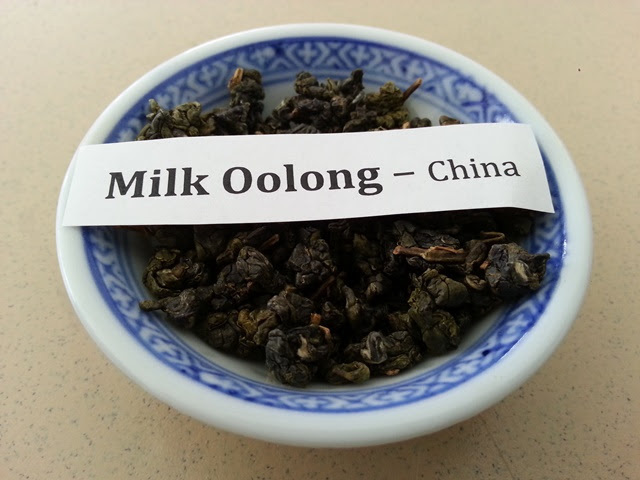 The scroll translates to "The coming and going of clouds and flowing water". The tea ceremony was performed by Chiaki Ito, a certified instructor of the Yabunochi School. Attendees who purchased chawan or matcha from Sugimoto America were offered the opportunity to be guests, receiving tea and sweets in the tatami space, or seated in chairs along the edge of the stage. 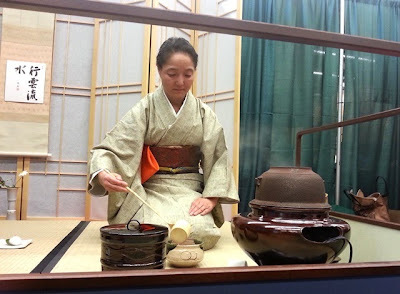 I am always grateful for the opportunity to experience tea ceremony and it was fascinating to see the unique Yabunochi temae. 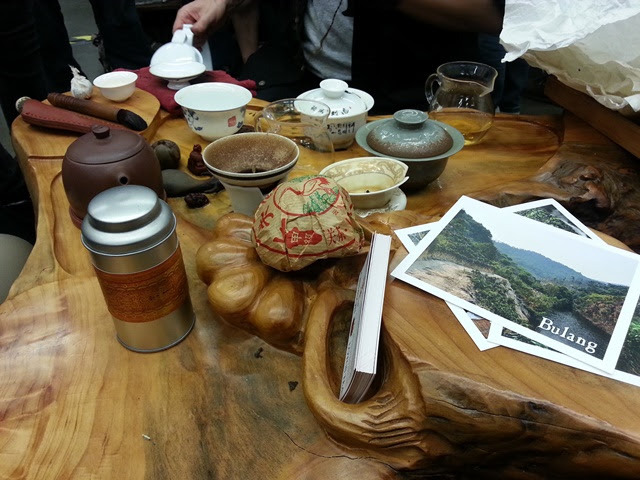 Hunan, China is best known for producing Mao Jian green tea, one of the ten most famous teas in China. 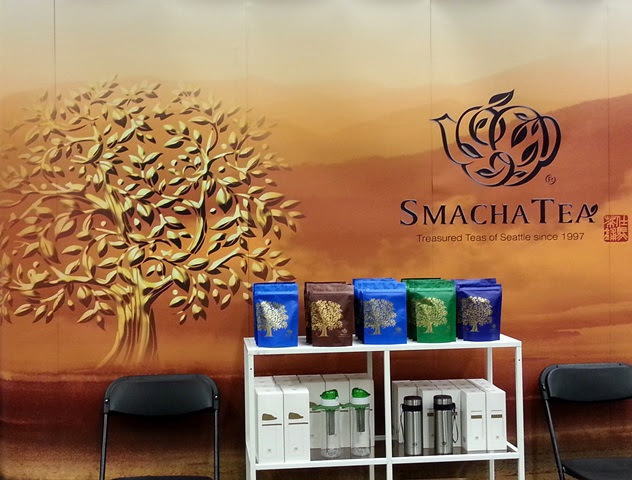 Now, they are working to produce new varieties of tea. While there is still more work to be done in refining the processes, Jeffrey introduced us to some of the promising new varieites. 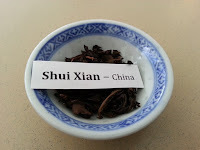 Hunan White from Xiangxi produced a sweet, nutty floral aroma and a light, smooth flavor with a very brief finish. Hunan Red from Xiangxi produced a baked stone fruit and floral aroma with a tart, roasted vegetable flavor and a cocoa finish. Hunan Green from Changde produced a nutty green savory aroma and flavor. 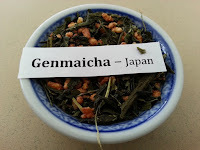 I already enjoyed Hunan Heicha and now I'm looking forward to the experiencing their new teas as they progress. Eric led a tasting tour, introducing us to six famous teas produced in countries throughout Asia, describing their origins and production methods while we tasted each fine tea. 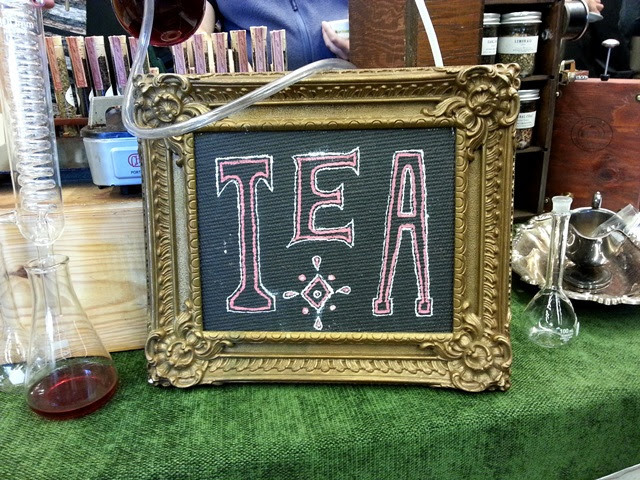 Not pictured below is the sixth tea, Lapsang Souchong. 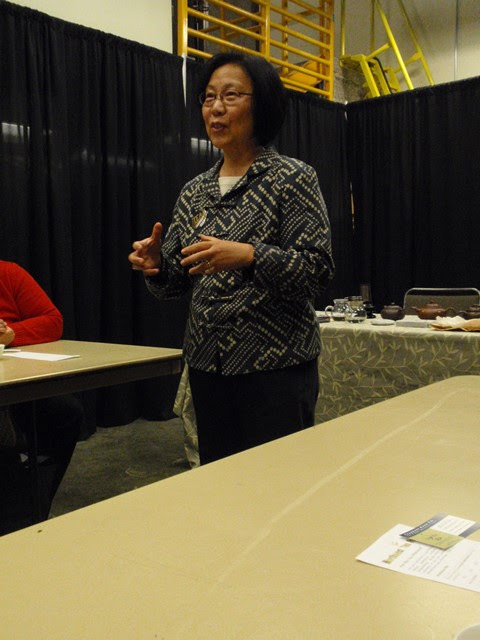 In this workshop, Nicole shared with us a variety of ways to easily integrate the healthy benefits of matcha into our daily diet. She began with an explanation of the difference between high grade (and expensive) ceremonial matcha meant for use in tea ceremony and culinary grade matcha which has all the health benefits and is more suitable for use with foods. 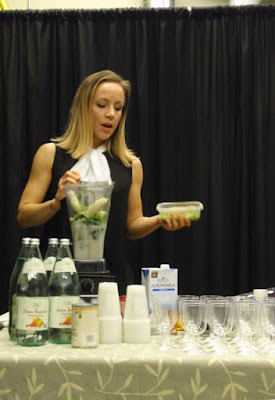 Our culinary experience began with a delicious Matcha Smoothie prepared with almond milk, spinach, hemp seeds, matcha, bananas, and ice. 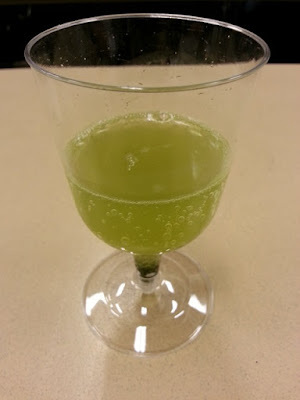 We were able to help create and taste several more healthy and tasty matcha-infused recipes including Chia Pudding, Granola, and Matcha Rice, and Matcha Salt. We also learned tips for making matcha-infused alcoholic drinks and prepared a non-alcoholic Matcha Sparkler using a simple syrup made by whisking matcha into grade b maple syrup, then stirring the syrup into sparkling water. A few of these recipes will certainly be in use in my kitchen soon. 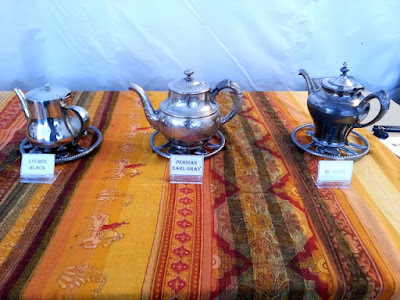 The stacked teapots, or çaydanlık, used in Turkish tea are similar to the samovar. The top teapot holds a concentrate of tea that has steeped for about an hour while the lower teapot holds hot water. A small amount of tea concentrate is poured into the tulip shaped glass tea cup. How much you pour is determined by how strong you like your tea. 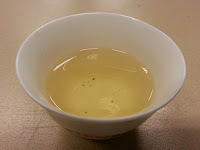 Then, hot water is poured to fill the remainder of the cup. 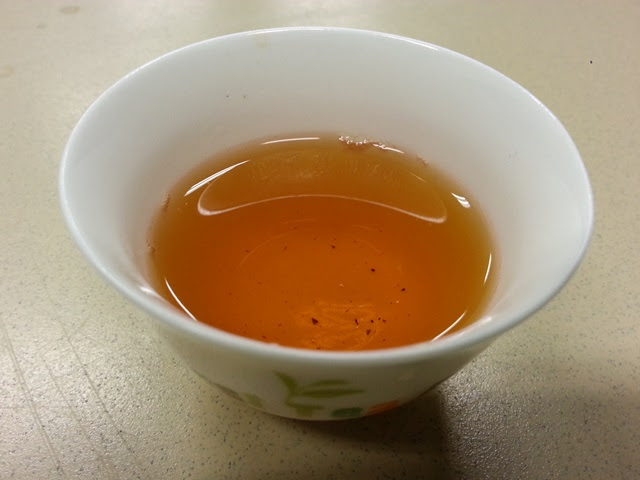 Sugar is usually added before being served, though we had the option to taste the teas unsweetened. 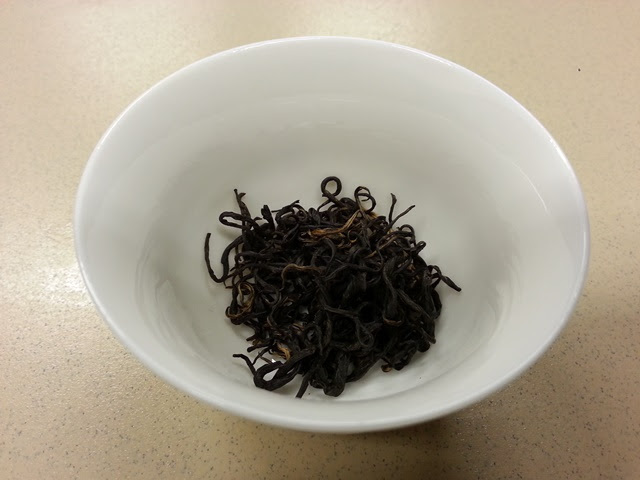 We tasted two teas: Rize, a black tea produced in the Rize province of Turkey, and Ahmad Cardamom Tea. 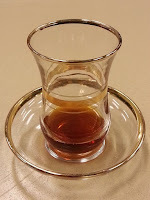 Cinnabar presented an example of a Turkish coffee cup to illustrate the distinct difference in style and material from the tea cup. 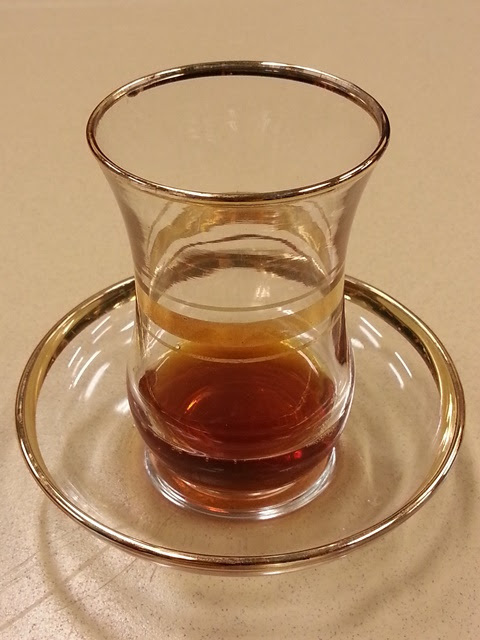 We also got to see a Turkish tea tray in action. 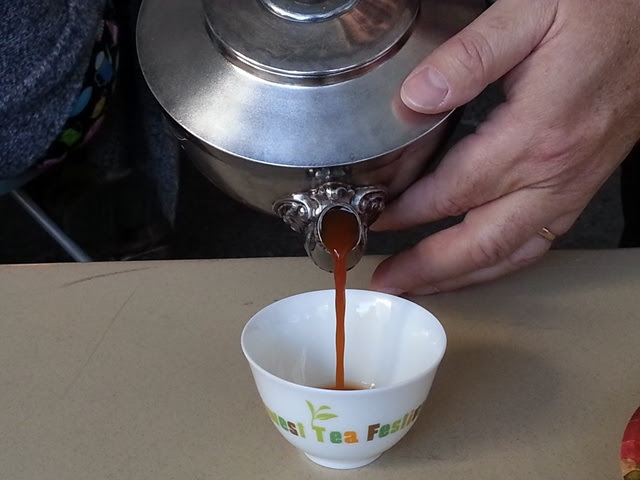 Holding the ring at the top, the tray can swing back and forth and around while moving about a busy marketplace and the glass tea cups never shift. 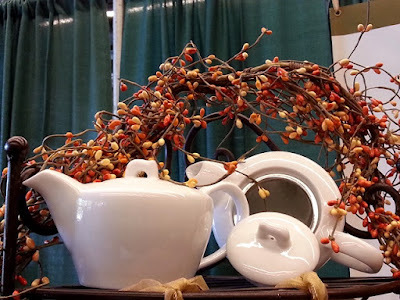 It's quite remarkable. As the workshop ended, so ended Northwest Tea Festival 2015. 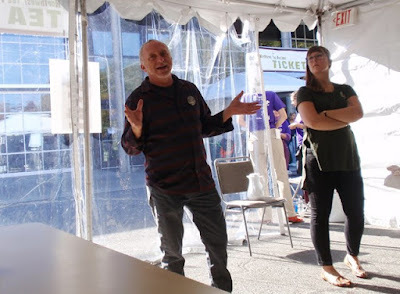 Thanks to the organizers, the volunteers, the presenters, the vendors, and everyone who worked so hard to make this festival possible! I cannot wait until Northwest Tea Festival 2016! STILL pissed that I missed this year's event due to a severed gas pump. Great retrospective, though. Thanks! 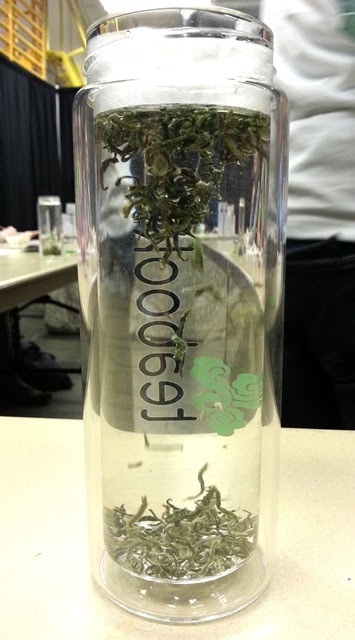 You were definitely missed.